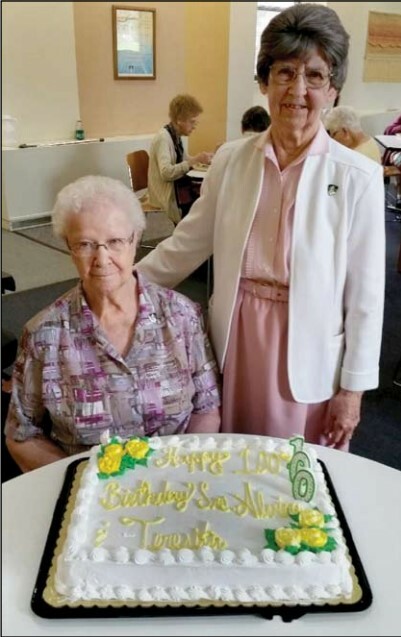 The Dominican Sisters of Peace can answer these questions from Job with a resounding “Yes.” Four of our Sisters reached the grand age of 100 this year, while two others celebrated 104 and 107 years. Each of these women of God has a special piece of wisdom that we can use in our own lives. 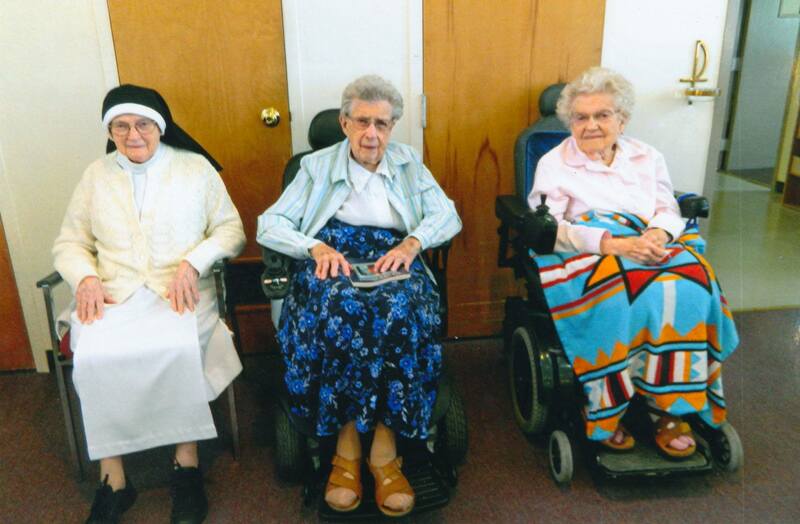 Left: Sr. Vincent de Paul Hutton, 107, Sr. Columba Casey, 100, and Sr. Paschala Noonan, 100. If you have a question about the Dominican Sisters in Kentucky, Sr. Paschala Noonan can probably give you the answer. She served as a teacher, a medical professional, and Director of Catholic Charities in Brooklyn, NY, and is also the author of Signadou, a history of Dominican Sisters in Kentucky, the first congregation of Dominican Sisters in the United States. Sr. Paschala was also instrumental in the planning of Sansbury Care Center, a nursing home for religious and lay persons located adjacent to the St. Catharine Motherhouse. When Sr. Columba Casey joined the Dominican Sisters of Peace in Kentucky, she was far from her family in Nebraska. She says she used to cry when they came to visit – not because she wanted to leave, but because she wanted them to stay. Sr. Columba served as a teacher and principal in New York, Kentucky, Illinois, and Nebraska before she retired in 1989. After leaving education, she ministered to the sick and to grieving families at the Veteran’s Home and at hospitals and funeral homes in Grand Island, NE. Today she leads a life of prayer and service in St. Catharine, still with her longtime friend, Sister Paschala. 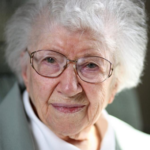 Sr. Edwina Devlin was cared for by the Sisters of Charity when her mother died at a young age. As a result, Sr. Edwina learned to place her trust in God and in God’s people – and gave her life to them when she entered the Dominican Sisters of Peace in 1932. She served as a teacher in Pennsylvania, Connecticut, and New York, and as a missionary in Peru. She celebrated her 104th birthday at the Mohun Health Care Center in Columbus, OH. Sister Alvina spent many years teaching in Kansas, Colorado, and Oklahoma. She also served as a librarian and as a pastoral minister. 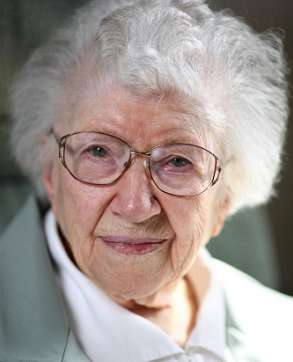 Today, at 100 years old, Sr. Alvina lives in the Great Bend Motherhouse, where she serves as the Convent’s librarian. Sisters Alvina Miller, 100, and Teresita Huse, 100, celebrating their birthdays. Sr. Teresita Huse joined the Dominican Sisters of Peace when she was just 15, and her life has been one of satisfying work, community and world travel. She ministered as an educator in Kansas and Oklahoma, as a librarian, and in parish ministry. She caught the travel bug in 1969 when she visited New Zealand, Australia and Alaska. She has also visited the Holy Land, taught English in Japan, and traveled to Korea and India. Travel is more difficult at 100 years old, so Sr. Teresita stays busy working to raise support for the Sisters’ missions in Nigeria. We are all blessed by the wisdom and love of these Sisters, and by your donation to the Dominican Sisters of Peace, which helps provide for The care of our retired Sisters across the country.